While only 300 new recruits have been taken on in that time. IN THE PAST five years, 1,996 gardaí have left the force due to retirements, resignations and dismissals. However, the number of intakes over that period is just 300. One hundred of those are for 2015, while 200 were for 2014. Last year was the first intake of new garda members since the recruitment embargo in 2010. As 200 were taken on, 291 more gardaí left left the force. In the five years previous to that, An Garda Síochána had 4,391 intakes and 2,271 departures from the force. The data takes into account all departures and intakes from 31 December 2005 to 31 January 2015. Click here to view a larger version of this graph. The number of gardaí in the greater Dublin area has decreased by 15% over the past five years. While the latest reported crime figures show burglary rates across Dublin jumped by 17% in 2014 – with thefts from cars up by over 16% during the same period. Dún Laoghaire Rathdown has lost a total of 83 officers in that time and Fianna Fáil councillor Cormac Devlin said the loss has put a considerable strain on the remaining officers. 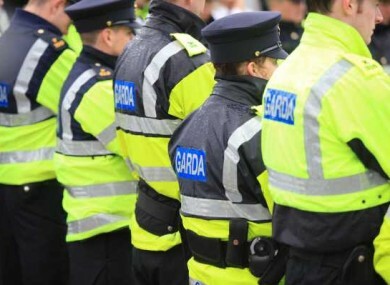 While local Garda management and rank and file Gardaí are making every effort to police the district, the loss of 83 officers is having an effect on visibility and may also account for the dramatic increase in crimes like burglary and theft. Ennis councillors are also calling for garda numbers to be restored following a drop of 53 gardaí since 2010 (16%). Sergeant Damien Hogan told TheJournal.ie, “Policing levels are determined by a number of variables including demographics, policing plans/models, the needs of the service and the security of the State. Garda personnel assigned throughout the country, together with overall policing arrangements and operational strategy, are continually monitored and reviewed. Email “One garda is leaving the force every single day”. Feedback on “One garda is leaving the force every single day”.